One of the most essential tools nurses need to survive their shift is a good watch. It helps them keep track of their patients’ medications and ensures that they are on time with their treatment plans. 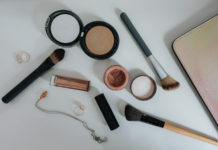 Whether you are looking for a replacement or you are thinking of buying one of your colleagues a good watch, you’ll find this buying guide extremely handy. 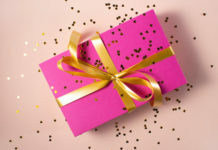 So, without further ado, check out the top products that stood out in our search for the best watches for nurses. 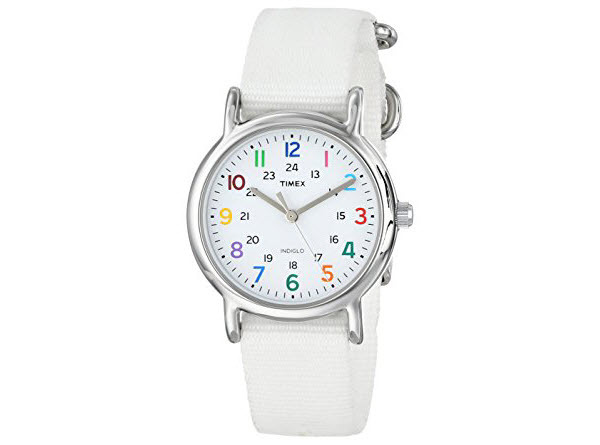 One look and you’ll easily find Timex Weekender Watch as the best watch for nurses. It has this round white dial with multicolored full Arabic numerals and 24-hour military time. It’s water-resistant so you won’t have to worry about damaging it in case you splash it with water. The watch has slip-thru straps which allow you to change them depending on your mood or your uniform. It also has Indiglo light that will make reading time easy under any lighting condition. 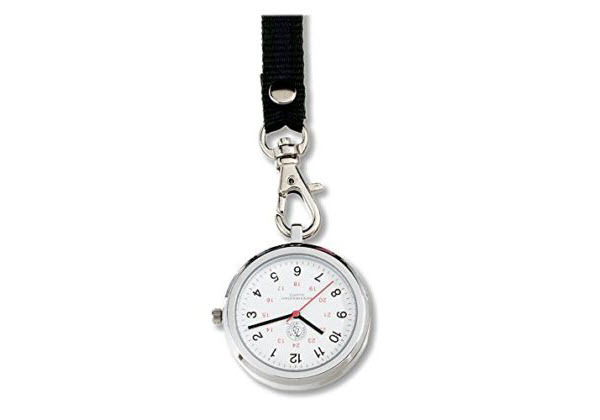 Prestige Medical Nurse Lanyard Watch Military Time is a pretty straightforward watch. It has a 24-hour dial face and a swivel lanyard which make it easy to use. 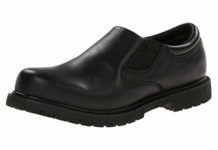 It is comfortable to wear in that it doesn’t pull hair or tire out your hand and wrist while using it. It’s small and won’t get in the way of your hand. Casio Analog Unisex Watch looks really nice. It will make a nice accent to your scrub suit, particularly with its color and design. It offers a few features you’ll find handy at work. For one, it has a rotating bezel which you can use to mark time. It has a glowing second hand to help you make a proper assessment in dark rooms. It has a day and date display, too. The watch, however, doesn’t have an alarm or stopwatch feature. 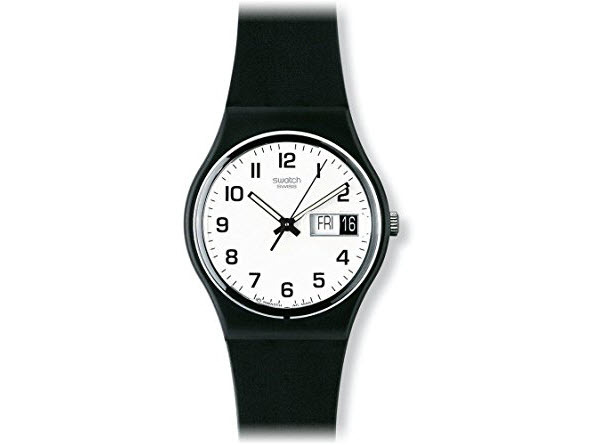 With a simple and straightforward design, Swatch Analog Unisex Watch features an easy-to-read white dial with Arabic hour markers. There’s a spot on the right where you’ll find the date and day display. The watch comes with a plastic band which makes it easier to clean and more resistant to staining. There’s a glow in the dark hand as well. However, it doesn’t glow bright that long. Prestige Medical Analog Stethoscope Watch is exactly what its name says. 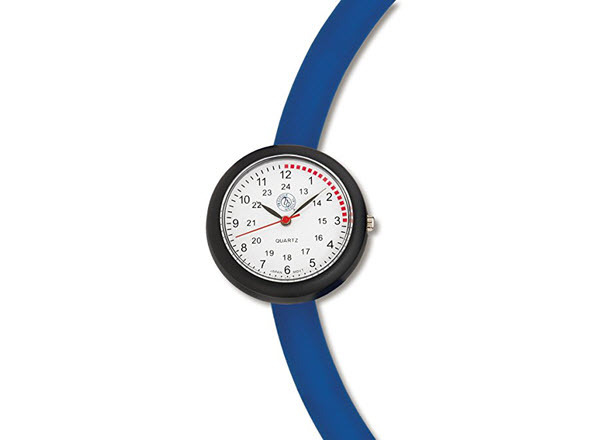 Featuring a 24-hour dial and 15-second marked quadrant, you can easily attach this watch to your stethoscope tubing. In case you’re frequently on a night shift, BestGrew Unisex Silicone Lapel Watch can help you stay accurate with your assessment. It has glow in the dark hands so you can easily count pulse rates and respiratory rates. The watches have colorful watch straps which are totally cute. They will certainly make a nice accessory to your scrub suit once you pin them. The watches come as a set. 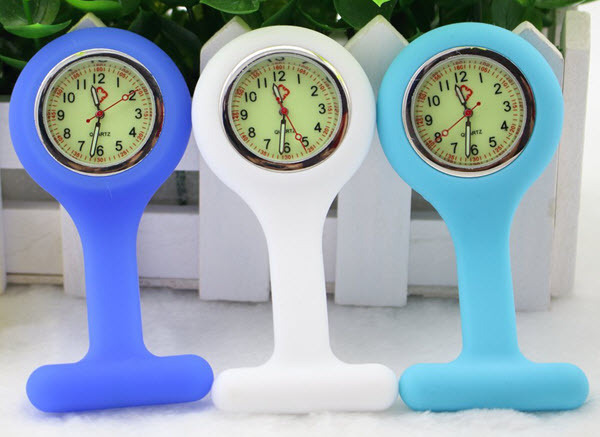 This means that for its price, you’ll get 3 Nurse Brooch Watches with batteries, a brooch pin, and silicone covers. Wior Medical Lapel Watch is perfect for those who don’t like wearing bulky or tight watches on their wrists. 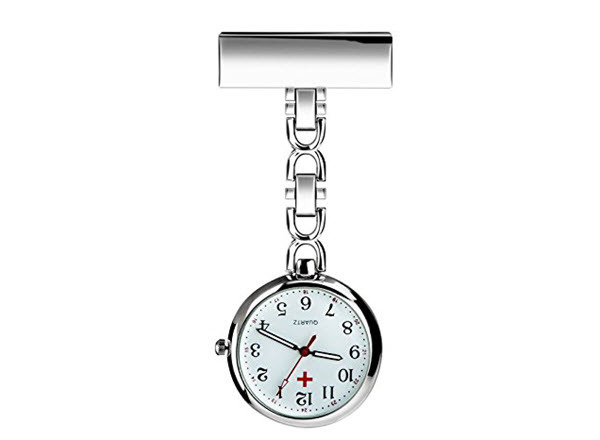 This particular watch for nurses can easily be pinned on clothes or wherever you prefer. It’s made of alloy and it makes movements with quartz. Naturally, this makes the clock ticks loudly but it’s something that won’t immensely annoy you. The watch comes in three classy colors- silver, rose gold, and gold. Speidel Scrub Watch is designed for nurses and other medical professionals. It has this red second hand that makes it a lot easier to take pulse readings accurately. Its 12 and 24-hour markers are really easy to read, too. The watch features a 100% silicone band which makes it easy to clean. You can just wipe it off with a tissue or quickly cleanse it with water. It’s water resistant so you won’t have to worry about damaging it in the process. 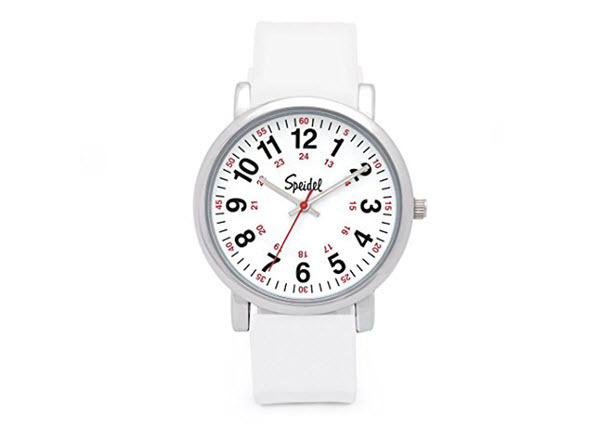 If you’re not into silicone straps, you can get one with white leather straps or one with a stainless steel strap. 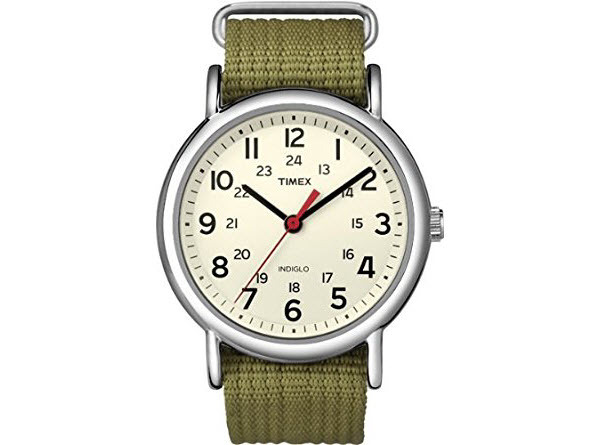 For a comfortable yet cool-looking watch, you should totally consider Timex Unisex Weekender Analog Quartz Watch. 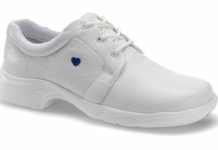 It’s designed with quick-release and slip-thru straps which are perfect for nurses who are always in a hurry. Its nylon straps are washable, too. You can clean and wash it with a mild detergent. 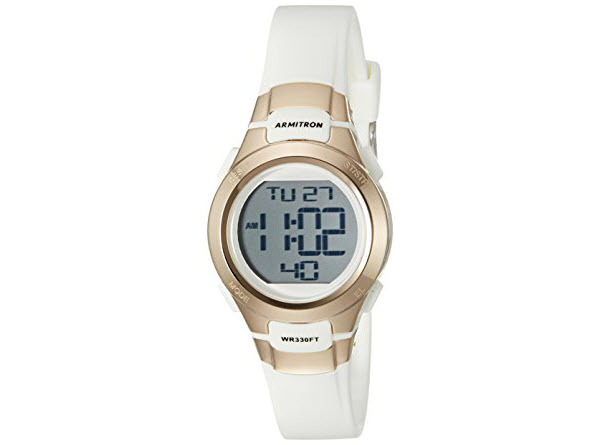 Armitron Watch features a sleek-looking digital display. It looks classy without compromising functions. In fact, it shows dual time zones. It also has a timer, a stopwatch, and an alarm. There’s the option to enable military time, too. The watch is water resistant and its silicone strap is easy to clean. As a nurse, that’s one feature you should always look for, right? One problem with this watch is that its color fades away after a while. However, since it’s reasonably priced, you can always get one from its 10 color choices. 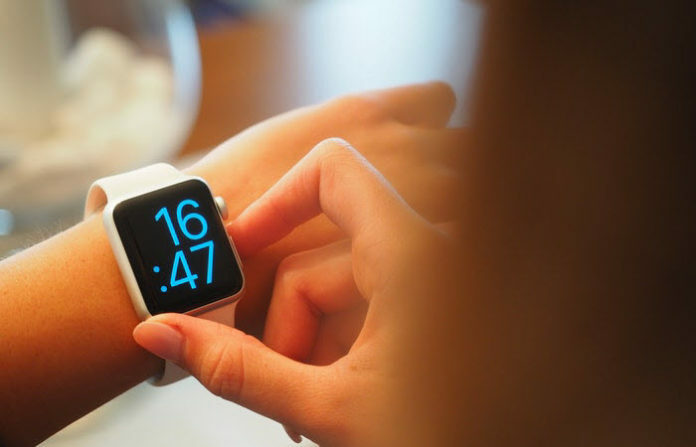 Some nurses are used to old-fashioned analog watches while others prefer digital watches. When choosing between the two, consider your comfort and work efficiency. 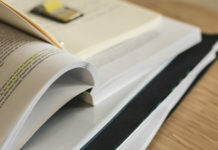 Although most nurses and nursing schools recommend analog watches, if you are used to digital ones, then you can work more efficiently with that. Analog watches are great when manually counting seconds while digital watches are best for military time setups. Whichever you choose, be sure that you are comfortable and can work more efficiently with it. Choosing between a lapel or a wristwatch is a common debate among nurses. Some nurses prefer wrist-type watches because they are easier to use when worn. However, they can easily harbor microorganisms and can get soiled from frequent hand washing. Other nurses, meanwhile, prefer to get a lapel watch as it can be pinned on the uniform to avoid problems with infection control. However, you need to hold it up to see it which may be inconvenient when counting pulse or when your hand is soiled. Watches with backlight are important so you can still see the time or count seconds even if the lights are out in your patient’s room. 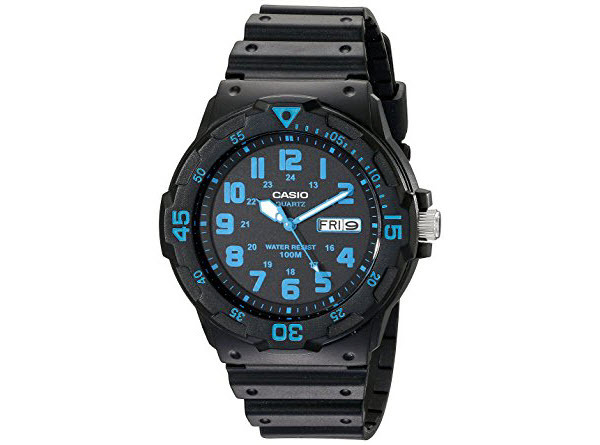 Most digital watches have Lumiglo or Indiglo backlight while analog watches have a glow-in-the-dark background. When buying a watch for clinical duties, it is important to consider the watch’s affordability. Watches can get soiled and broken during clinicals. By having an inexpensive one, you can easily replace it whenever it gets broken. Fancy and high-end watches are not advisable for clinical duties so choose a watch you can afford to lose and replace immediately. 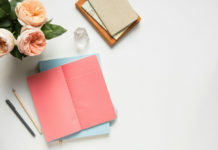 Remember that comfort and efficiency are the two most important things to consider in finding the best watches for nurses. Try to fit the watch you like and see if you are comfortable with it. Seeking for the recommendations of your colleagues is also great as they know the best watches nurses can use while on duty. Did we miss any of your favorite watches?